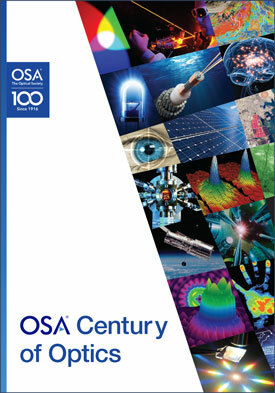 Beginning around the founding of the Optical Society, the OSA Century of Optics presents a selection of people, events and technologies that were important to the evolution of optics, optical science, optical engineering, and photonics. A number of the chapters are written by the researchers and engineers that were seminal in making the discoveries that are showcased, and the book ends with 8 prominent scientists, including Nobel Prize winner Dr. Steven Chu, speculating about what the next 100 years will bring to the field of optics. To view this PDF eBook you will need to login or make a payment.